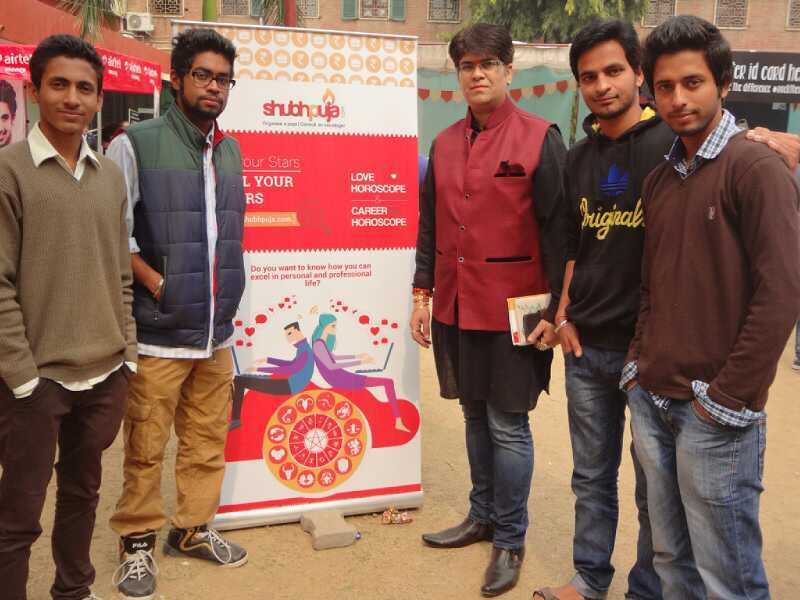 Shubhpuja is one such effort by Delhi-based Saumya Vardhan. The portal offers a religious forum that allows people from all walks of life to conduct pujas and rituals on various occasions. 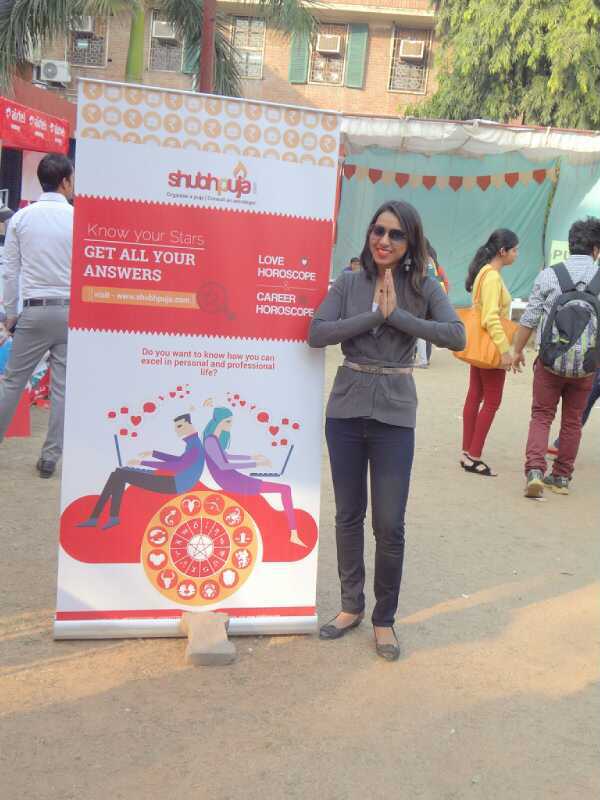 Prior to launching Shubhpuja.com, Saumya worked as an operations and technology consultant with KPMG and Ernst & Young in London. She is an MBA from Imperial College, UK, and she wanted to return to India to ‘contribute in some way to the betterment of society.’ The idea for Shubhpuja came when Saumya was visiting India and during this time, her friend faced a personal loss. Her father had passed away and she faced a lot of problems while arranging for rituals. “There is no place where one can go and find out how to go about the rituals properly,” says Saumya. This entry was posted in Media Coverage and tagged astrology, coverage, faith, Hindu, Indian, kpmg, MBA, news, press, puja, religion, rituals, Shubh, shubhpuja, story, venture, write, yourstory. 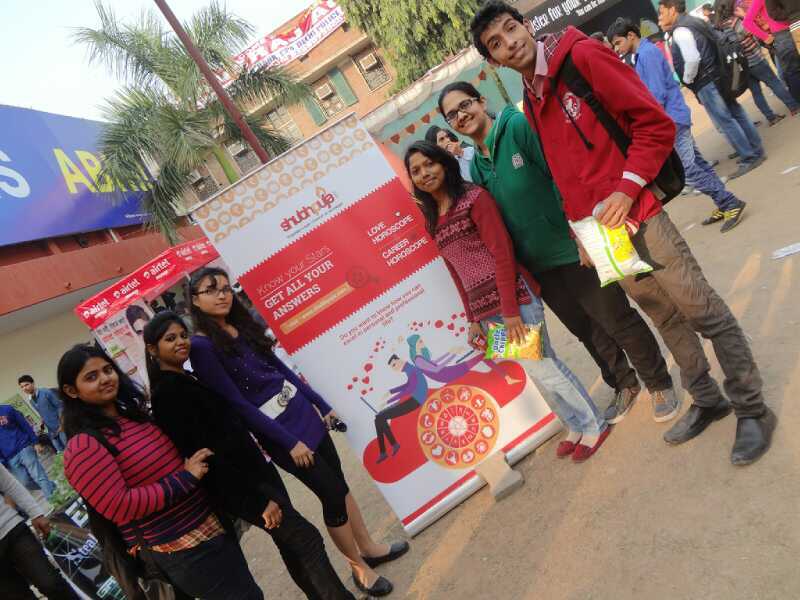 SHUBHPUJA.Com covered in Navbharat Times! As we continue to provide to ease your lives with our utmost user friendly services, Navbharat Times writes an article on our accomplishment. Shubhpuja.com is a one-stop shop for all your religious solutions. Contact +918010223300 for customized pujas, Astrology, Numerology, Vaastu & other consultations. This entry was posted in Media Coverage and tagged astrology, consultations, cover, customized, Navbharat, news, newspaper, numerology, puja, Shubh, shubhpuja, story, times, vastu. In the previous week we talked about how important wealth is in our lives. A famous proverb testifies that “Health” is “Wealth” after all! So it does become highly important to take care of one’s health, not only ours but also the people we care about. World Health Organization (WHO) defines Health as- “a state of complete physical, mental, and social well-being and not merely the absence of disease or infirmity”. Therefore, it becomes very important to maintain a healthy life-style. Health care interventions and a person’s surroundings, a number of other factors are known to influence the health status of individuals, including their background, lifestyle, and economic and social conditions; these are referred to as “determinants of health.” Like an emerging health issue in the modern times is “stress”! Sometimes however, no matter how much we try to maintain a healthy lifestyle and keep all our health determinants in check, our stars and planetary positions just do not favor us. Here is where www.shubhpuja.com comes into play. 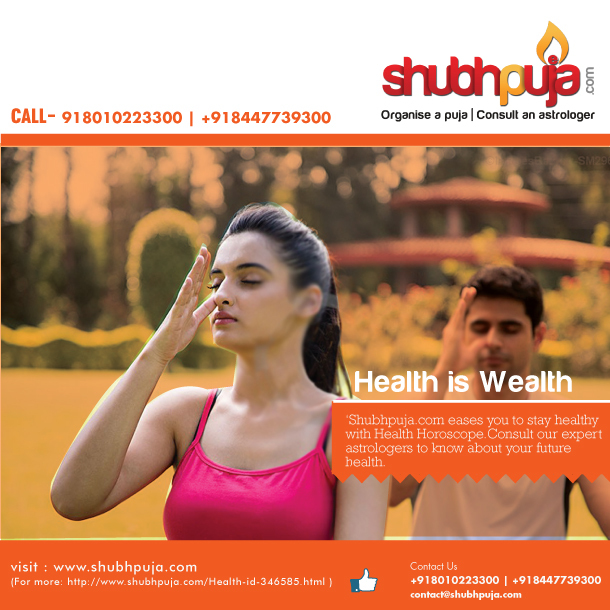 We help you reach those remedial measures for maintaining good health of yourself and your family based on your health horoscope. Each house in our horoscope is related to some body part and its related ailments. Health horoscope is a guide to what afflictions can affect your health. Not only this, with the help of our professionally successful pandits, who are well-equipped with all the vidyas of astrology, we will provide you solutions and remedies to improve your health and overcome diseases based on your star combination. Our pandits can suggest various pujas and havans to further enhance and accelerate your personal success and happiness. So log in to Shubhpuja.com right now and find out whether the malefic effects of planets are going to affect you or not? Are there any chances of some serious illness or you can enjoy your year without worrying about your health? All of this and more! This entry was posted in Consultants and tagged advantages, astro, astrology, consultation, future, happiness, health, horoscope, lifestyle, puja, Shubh, shubhpuja, Stars, success, wealth. 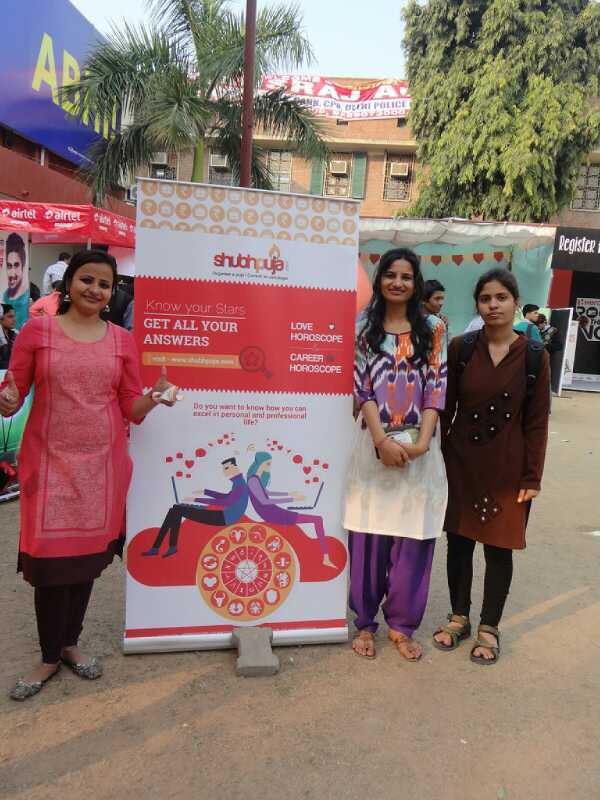 After an overwhelming response at our Janki Devi College (DU) fest stall, Shubhpuja.com became the part of the amazing Hindu College (DU) fest on the weekend that just went by. 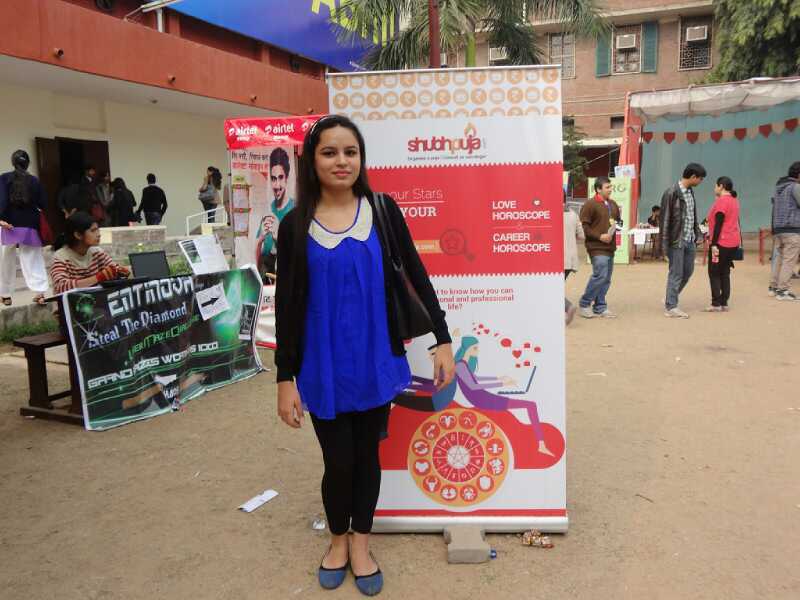 Shubhpuja saw a footfall of over 800 people in the three days of the fest, services in Astrology, Numerology, Palmistry, Angel healing and Tarot Card were offered to them. In the mega event Mecca’14, where great celebrities like Papon & Mohit Chauhan performed, we were also covered by MTV Campus Diaries. 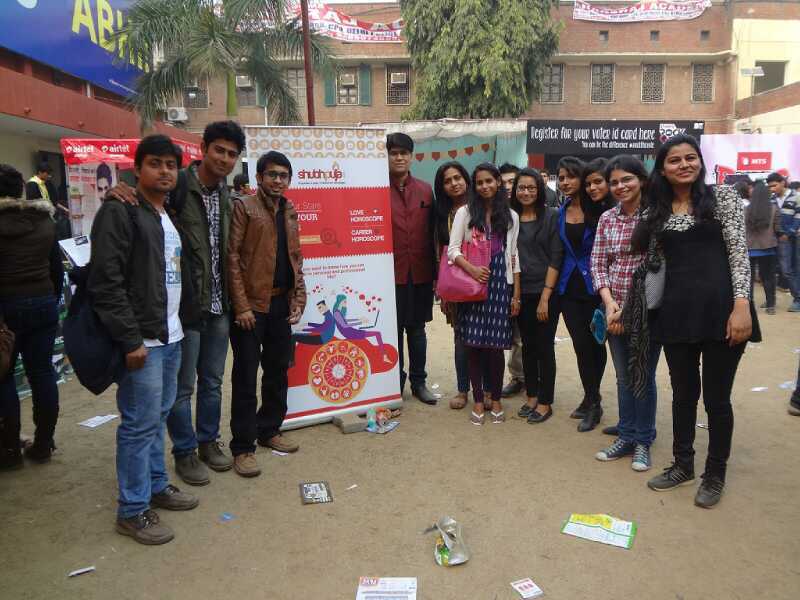 Totally looking forward to more of such events, catch Shubhpuja at the next fest around you! 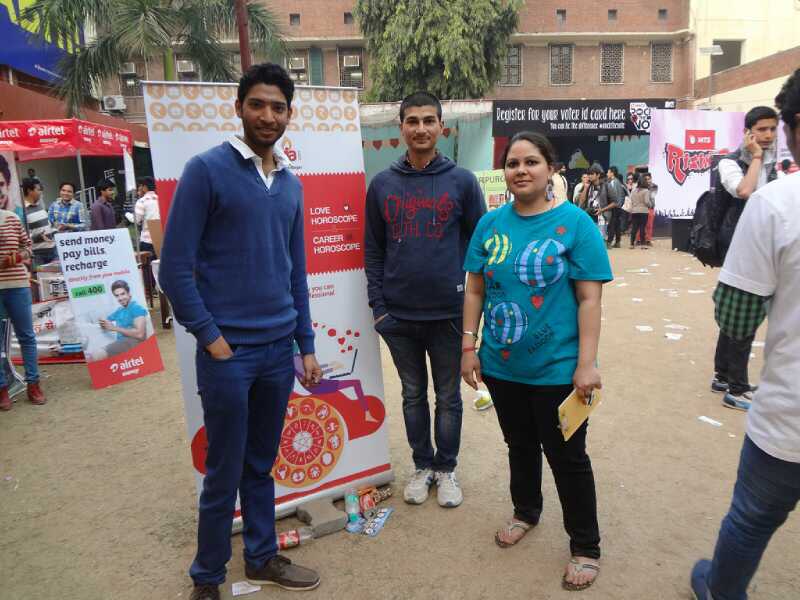 This entry was posted in Consultants and tagged astrology, campus, College, Consultancy, event, Fest, Hindu, Kristal, Mohit Chauhan, MTV, papon, puja, Shubh, shubhpuja, Tarrot, Youth. Maha Shivratri or the ‘Great’ night of lord Siva, also known as Padmarajrathri, is celebrated annually on the 13th night of the Maagha month of the Hindu calender. Celebrated on the dark fortnight or Krishna Paksha of Maagha, the festival is principally celebrated by chanting the sacred Panchakshara mantra, fasting, offering Bilva/Vilvam leaves to Lord Shiva followed by jagranas & havanas. This day is also known as the favorite day of Lord Shiva and the day when Shiva & Parvati got married. Note: Maha Shivratri is one of the most auspicious day to perform Kal Sarp Dosh puja. We, at Shubhpuja.com ease the whole experience of this great day for all the devotees.It is the right time to address all your problems and seek the Lord’s blessings for a brighter and better tomorrow. So log on to http://www.shubhpuja.com right away and conquer all your evils this Maha Shivratri! This entry was posted in Consultants and tagged experience, havana, health, improvements, mahashivratri, married life, problems, puja, shiv, shiva, shivratri, Shubh, shubhpuja, solutions, Yagna. With the Valentine’s week finally coming to an end, most of us are trying to find best ways to tackle with the next 2 weeks of the month. No matter how much one denies it, money does run a major part of our lives and governs our choices, directly or indirectly. Wealth, however, is a greater term than just money. Its modern understanding describes it as the abundance of valuable resources or material possessions. Ranging from money, gold & other precious metals and stones and even property, everything contributes to one’s wealth. Wealth is also denoted by growth and development, in terms of economics and finances. So the understanding is pretty clear, wealth is not just momentary possession but continuous growth. The importance of wealth, despite all the newer modern meanings present to us now, has been from times far deep down in the history. Even Chanakya has written a whole Grantha on the importance and proper management of wealth and economics called Arthashastra. Certainly Vedic sciences also have ventured into the field of growth of wealth in order to provide a man with utmost luxuries in his lifetime. Shubhpuja.com realizes the need of the same and brings on a platter various combinations of horoscopes for the utmost maximization of one’s wealth and related resources. Our highly skilled and professional team is not only well-versed with how to help you stay afloat during your adversaries but also guide you towards a wealthier tomorrow in general. The horoscope is made using the best and most tried and tested techniques and is always personalized considering how a different being has a different life. We help you connect the missing links in your stars and reach the height you’ve been destined for along with all the fame and fortune that comes with it. The specialized astrologers accurately indicate the best phases of life and how to make use of prosperous times. Lord sun, illuminating our universe, shines upon you. Let our experts see your horoscope and tell you when you will achieve extraordinary success in life. Not only this, our pandits can suggest various pujas and havans that will help enhance and accelerate your personal success and happiness. So if you too have those questions pertaining to your share of with-held fame, fortune or wealth, you know exactly whom to ask! 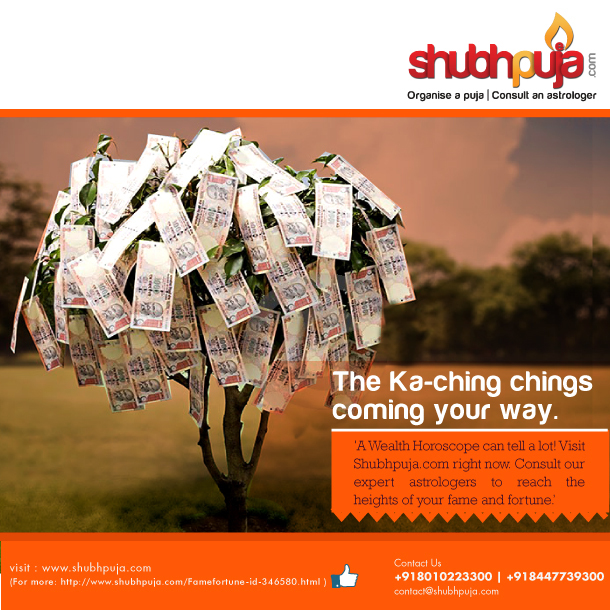 Log on to www.shubhpuja.com right away and welcome the ka-ching chings your way. This entry was posted in Consultants and tagged astro, astrology, consult, experts, fame, fortune, heights, horoscope, money, puja, Shubh, shubhpuja, Solution, wealth. Straight from the Love ‘Gurus’! Like every year, today, on the fourteenth day of the 2nd month of the year is being celebrated by world as the Valentine’s Day; a day to express their love, affection and friendship. Since the month of February is the 2 month in the year cycle , Number 2 is ruled by the planet Moon, symbolizes our Emotions , Relationships, Thought process , Cooperation, and Communication – it’s a perfect choice to celebrate love. Like on most vital things in life, romance and love life too account for a major share of our existence. Vedic Sciences too have a take on this. There is something called the “Maithri charka” that describes 8 types of people by way of 8 animals based on which one can know whether a person will really live up to be a ‘mithra’, a friend or a bitter enemy or a neutral one with whom you may not have problems. This charka has application in friendship matters, in business partnership and of course in love and marriage relationship. The 8 animals are paired as representing the opposite arms of the Maithri charka, indicating bitter enmity. The 8 animals are placed from east through 8 directions. To know if one will be friendly with you, you have to first know which animal represents your name. Then know the animal represented by your friend’s name. If the two animals are in opposites, you can expect troubles in relationship. If they are same, there will be good matching of minds. If they are natural friends, there will be friendship. Nowadays, the practice is to count the letters in English and other languages too. Here the method is to count the number of letters, multiply it with 10 and divide the outcome by 8. If Bobby and Eshha want to be business partners, count their name numbers. Relationship between Cat & Cat will be friendlier as per Maithri charka. If Sunnil & Kunal want to be business partners, count their name numbers. Relationship between Dog & Cat will be neutral. In this way the compatibility and friendship can be known from the relationship between the 8 animals. Same number persons will have good understanding. Opposite numbers do not make them see eye to eye. Other numbers are acceptable, but the way they relate to each other is determined by the nature of relationship between the animals representing their names. Vedic astrology uses the 8 animal – characteristics at other places too – in identifying the city where one can flourish and in identifying the part of the city where one can settle down and lead a peaceful life. We will see them in future posts. If you think this Maithiri chakra got too much for you to take, we, at Shubhpuja.com, simplifies it all for you. More than this, we assess and provide solutions to your love, friendship, compatibility and other life related questions and problems. Our Pandits use their advanced vidya to also determine problems which yet lie dormant to only wake up somewhere in the future and help you prepare for them. 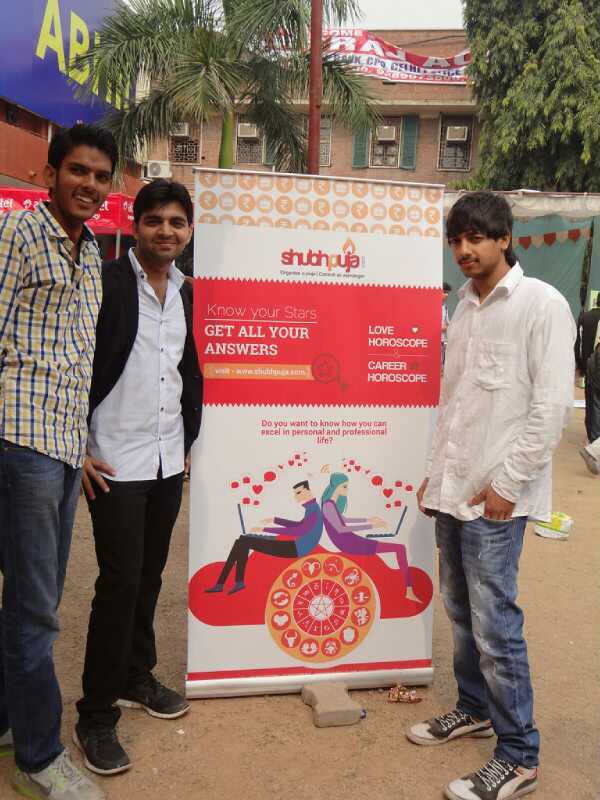 So what are you waiting for, log on to www.shubhpuja.com right away, and discover more! This entry was posted in Consultants and tagged affection, astro, astrology, chakra, companionship, family, love, maithri, partners, partnership, puja, Shubh, shubhpuja, Solution, Valentines.